These are some clips from a weather balloon launched at Kennedy Space Center by some of the Cosmosphere campers in the Future Astronaut Training Program (FATP) Level 4 in 2007. 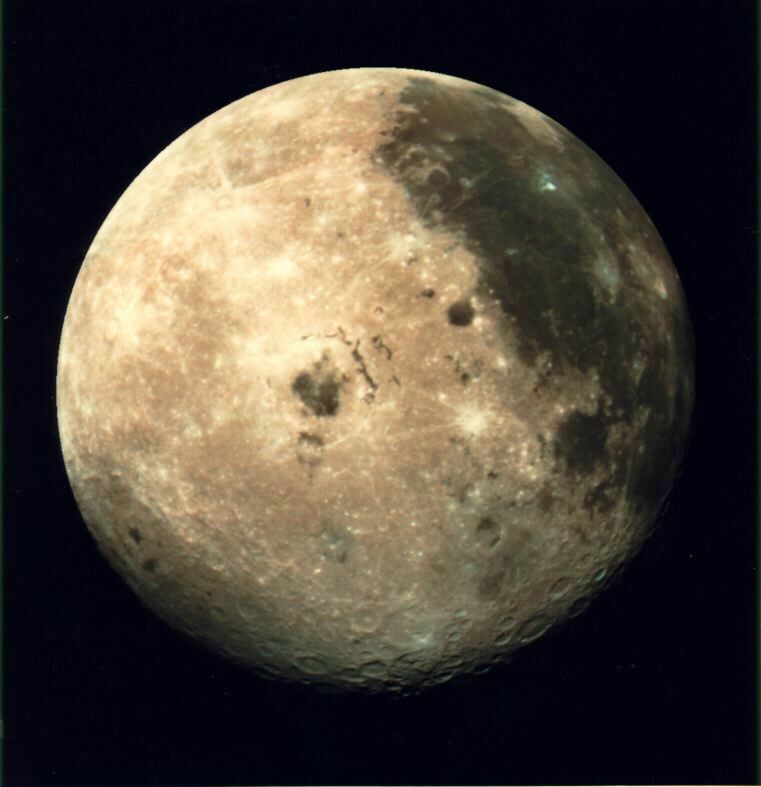 On May 25, 1961 President John F Kennedy announced the goal of landing a man on the Moon before a joint session of Congress. When he made the speech, America had a 39% success rate and had spent a total of 15 minutes in space. "I believe that this nation should commit itself to achieving the goal, before this decade is out, of landing a man on the Moon and returning him safely to the Earth." Of course, America did commit itself to that and reached the goal, with a few months to spare, in July of 1969. Part of the FATP Level 2 camp is ropes course training, including a zip line. These students are from WIGGS Middle School in El Paso, Texas. They were training on May 12, 2010. 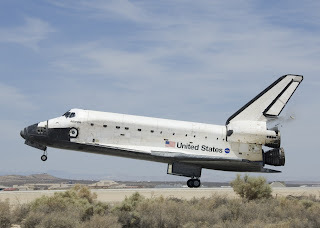 Space Shuttle Atlantis is set to launch on its final mission Friday, May 14. Atlantis was the fourth shuttle built and the primary orbiter for the Shuttle-Mir missions. The Cosmosphere is offering a free presentation beginning at 12:45 p.m. on Friday, May 14, that will culminate in a live view of the launch at 1:20 p.m. If the launch is scrubbed, we’ll postpone the event and have it posted on our website at www.cosmo.org. Cosmosphere staff will talk about the legacy of Atlantis and the highlights of this mission. Atlantis launched its first flight Oct 3, 1985, which began a mission dedicated to the Department of Defense, the first of several such missions flown by Atlantis. In 1989 Atlantis deployed the Magellan probe that went to Venus, and the Galileo probe that went to Jupiter. Two years later an Atlantis crew deployed the Compton Gamma Ray Observatory. As part of the Shuttle-Mir program, Atlantis flew seven missions to the Russian space station Mir between 1995 and 1997. Atlantis has flown ten missions to the International Space Station, including delivering the Quest Joint Airlock and the European Columbus laboratory to the station. In May 2009 Atlantis flew the final servicing mission to the Hubble Space Telescope. The current mission of Atlantis, STS-132, is delivering the Russian-built Mini Research module and supplies in an Integrated Cargo Carrier to the station. The twelve-day mission has six crew members and will include three spacewalks to store spare batteries, an antenna, and parts for the Canadian Dextre robotic arm on the outside of the station. Join Cosmosphere staff and other space enthusiasts at 12:45 p.m. on May 14 to experience this historic moment together as Atlantis begins its final mission. The Kansas Cosmosphere and Space Center is mourning the loss today of the space program’s historic Pad Leader, Guenter Wendt. Guenter was in charge of all pad operations prior to launch and ensured the astronauts and spacecraft of the Mercury, Gemini, Apollo, and early Shuttle missions were ready on launch day. Guenter died early this morning at his Florida home. He was 85. Several items from Guenter’s personal space history collection have been donated to the Cosmosphere and are on display in the Apollo gallery. He has spoken at the Cosmosphere several times and, most recently, participated in the gala Apollo 13 40th anniversary celebration at the Cosmosphere in Hutchinson on April 16 and 17. He also spoke on numerous occasions to student groups from the Cosmosphere who were visiting Kennedy Space Center as part of the Cosmosphere’s summer camp program. He was a strong supporter and inspired thousands of students to pursue careers in the space, science, math, engineering and technology fields. "He was inspiring, joyful and loved to challenge young people to be the inventors and thinkers of tomorrow," noted Marisa Honomichl, Vice President of Marketing at the Cosmosphere. "He told me his latest challenge to the engineering students he was speaking with was to develop cold fusion to the point it could be used as the cleanest most efficient form of energy on our planet and then...devise a way for that energy to be transmitted without wires." 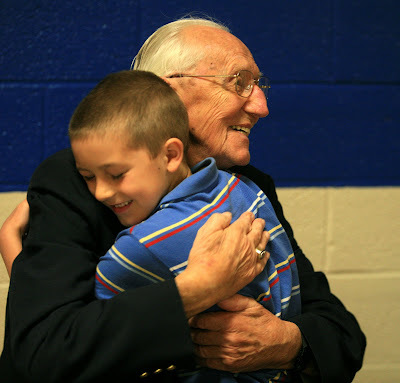 Guenter hugs a young fan during the Cosmosphere's celebration April 17, 2010. GUENTER F. WENDT was the "Pad Leader" during the Mercury, Gemini and manned Apollo missions. He was the last person to see the astronauts before they blasted into space. He was born in Germany, came to the U.S. in 1949, and became a citizen in 1955. As soon as he got US citizenship, he was hired as an engineer for McDonnell Aircraft and was given primary responsibility for spacecraft test, checkout, and launch operations for all Mercury and Gemini manned flights. After the 1967 Apollo 1 accident, he was hired by North American Rockwell and oversaw spacecraft launch preparations for all the manned Apollo, Skylab, and Apollo-Soyuz flights. He was in charge of flight crew safety during the Shuttle ALT and all operational flights of the Shuttle until his retirement in 1989. Wendt came to be regarded as a welcomed good luck figure to mission crews. He joked with crew members and wished them a successful trip as he directed the final procedures before launch. He and the astronauts often exchanged gag gifts while they were in the “White Room,” the last place the astronauts were before being sealed in the spacecraft. The Cosmosphere has one of the two remaining White Rooms on display, as well as the gifts astronauts gave to Wendt before the historic Apollo 11 mission. Wendt's was the final word for the launch tower white room team responsible for loading and securing the mission crews, ensuring that spacecraft instrumentation, switches and controls were correct for launch, and securing the hatch. Nobody touched anything without his permission. In January of 1967, Wendt, still with McDonnell, was supervising the test range in Titusville, Florida. Since NASA changed contractors on the Apollo program to North American Rockwell, he was not involved with the Apollo 1 spacecraft, in which a cabin fire caused the deaths of Gus Grissom, Edward H. White, and Roger Chaffee. Grissom's backup and replacement on the Apollo 7 flight, Mercury and Gemini veteran Wally Schirra, insisted after the accident on having Wendt back in charge of the pad crew for his flight, and convinced astronaut leader Deke Slayton to get North American to hire him. Crewmembers of the other Apollo missions shared an equally high regard for Wendt, and he stayed on with the formal Pad Leader title through the end of the Apollo missions. He continued to work at the cape into the early Space Shuttle flights. Wendt later served as a technical consultant for several TV and movie features and wrote in his biography The Unbroken Chain about his time at NASA. He remained a personal friend of many American astronauts, and is a recipient of NASA's "Letter of Appreciation" award. He was a close friend and supporter of the Cosmosphere and his inspirational nature and vision for the future will be fondly remembered.